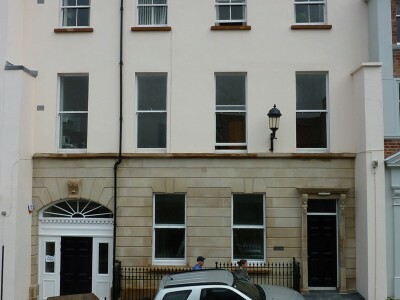 The primary façade to Waterloo Street is of four storey, four bay construction with imposing half octagon profile pilasters and a decorative parapet. Three double storey bay window arrangements existed but were not of original design. 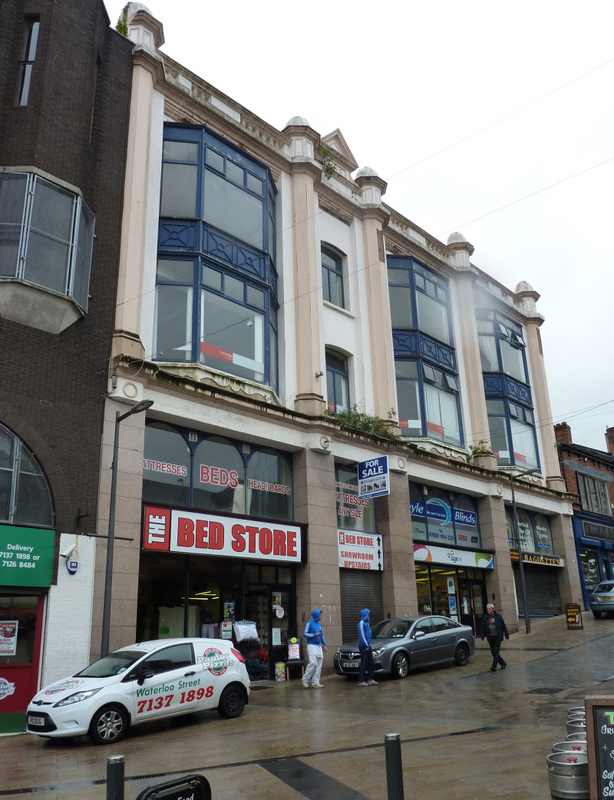 The upper floors had originally been finished in brick however have subsequently been rendered. Prior to intervention th bay windows were found to be structurally unsound and evidence of water ingress around the bays was visible. The external render was in a poor condition and in areas where it has failed this has resulted in the underlying brick face being lost. 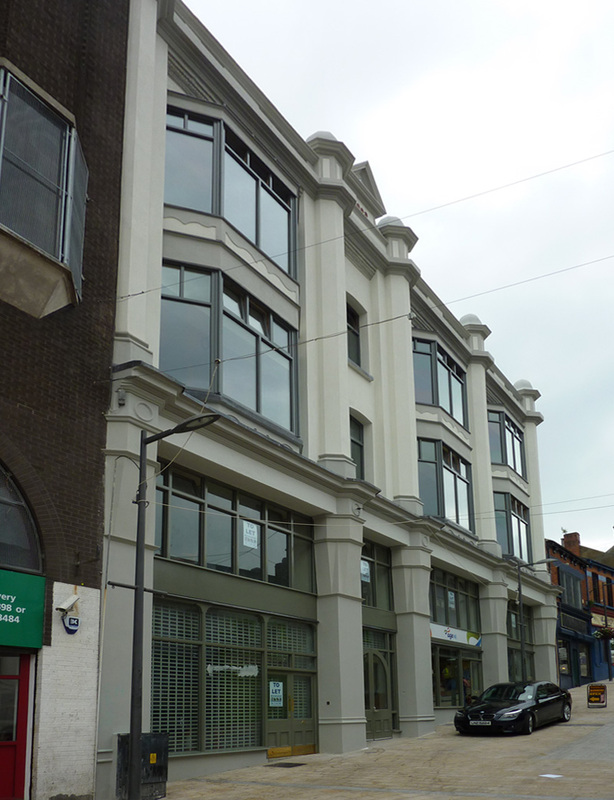 The ground floor shopfronts comprised marble piers and timber / aluminum shopfronts bearing no relation to the archive photographs. A mixture of inappropriate signage exists along with external roller shutter arrangements. A second frontage to the Gunners Bastion on Magazine Street is of two storey, three bay brick construction with concrete mouldings and a rendered parapet. The property is located on the site of Corn and Butter Market, at lower waterloo Street, which opened in 1825 and continued to operate until 1853. 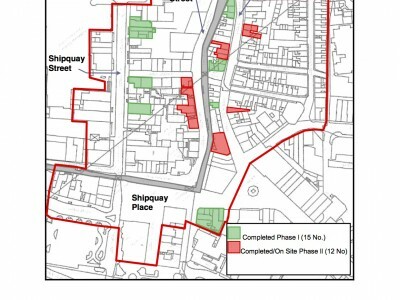 The development of the site after this date included the former Ulster Bank on Waterloo Place and what appears to be store/warehouse type accommodation on the site of the current Irvine’s Printing Works premises. The current property is thought to have been developed circa 1903. 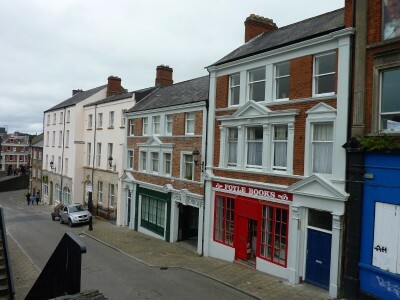 It would appear that the property was constructed to accommodate an expanding printing business which had previously been located on Castle Street from 1858. It is possible that the architect could have been MA Robinson, who undertook the design of Austin’s Department Store in the nearby Diamond. The property was severely damaged by fire in the 1970’s leading to significant repair and reconstruction. Internal re-ordering and repair to facilitate the return of the floor space to sustainable use. 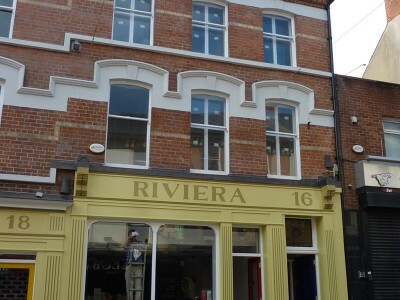 Remove defective render from Waterloo Street facades and renew in lime render. Replacement of defective bay windows. Repair of existing timber sliding sash windows. Provision of a new entrance arrangement at Magazine Street with internal lattice shutter. Graffiti removal and brickwork repair on Magazine Street facades. Repointing of brickwork facades to Magazine Street. Write Your answer: 4+6= Math Captcha.